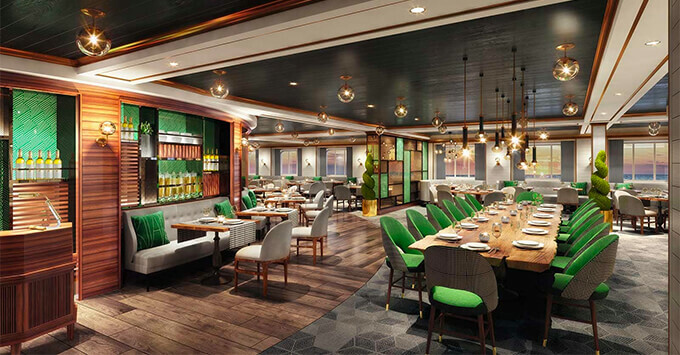 (9:38 a.m. EDT) -- Princess Cruises' fifth Royal-class cruise ship, Enchanted Princess, will feature a reimagined Salty Dog Gastropub, the line's new "Sky Suites" suite category and a redesigned Sanctuary when it debuts in 2020. "With our new Sky Suites and enhanced dining and relaxation features on Enchanted Princess, we are continuing our commitment to offer new and expansive passenger spaces that meet the needs of our guests who wish to explore the world and connect with each other," said Jan Swartz, Princess cruises president. A first for the line, the popular Salty Dog Gastropub will be its own dedicated venue (on other ships, it's located in the Wheelhouse Bar). The rustic pub will be a spot for cruisers to watch sporting events over a drink and something to eat. A highlight is the Ernesto Burger, created by chef partner, Ernesto Uchimura. 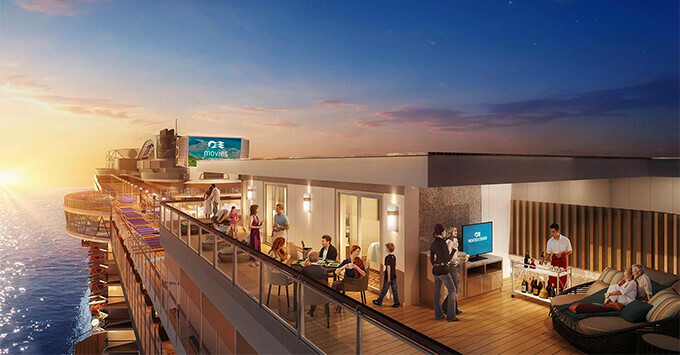 As previously announced for sister ship Sky Princess, Enchanted Princess will feature the line's all-new Sky Suites, which are centrally located on the top deck of the ship and feature the largest balconies offered by Princess Cruises. The suites provide a 270-degree panoramic view and have a sleeping capacity of up to five people. 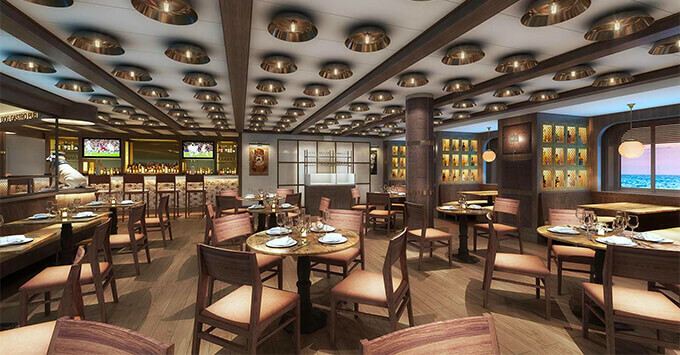 The ship will also have a redesigned Sanctuary with more private cabanas than other ships. Other features onboard will be a Wakeview pool at the back of the ship; over-the-ocean glass Seawalk; Sabatini's Italian Trattoria; and Princess Live! and Cafe where cruisers can enjoy a drink or small bite while watching live performances. Enchanted Princess will be named in Southampton in June 2020, before embarking on a season of Mediterranean cruises. Cruises go on sale November 8.